Howzat for employment law advice! A solicitor who specialises in domestic property conveyancing has joined a Telford firm after being impressed by the team’s performance. 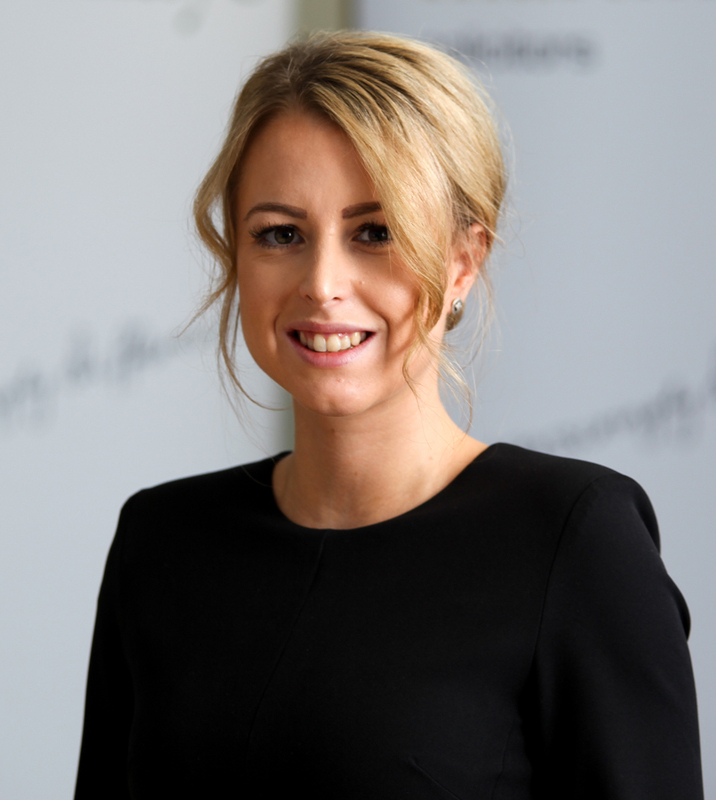 Emma Jones is the latest new face to join Martin-Kaye Solicitors in Euston Way, and she will deal with a wide variety of transactions involving leasehold and new build properties. 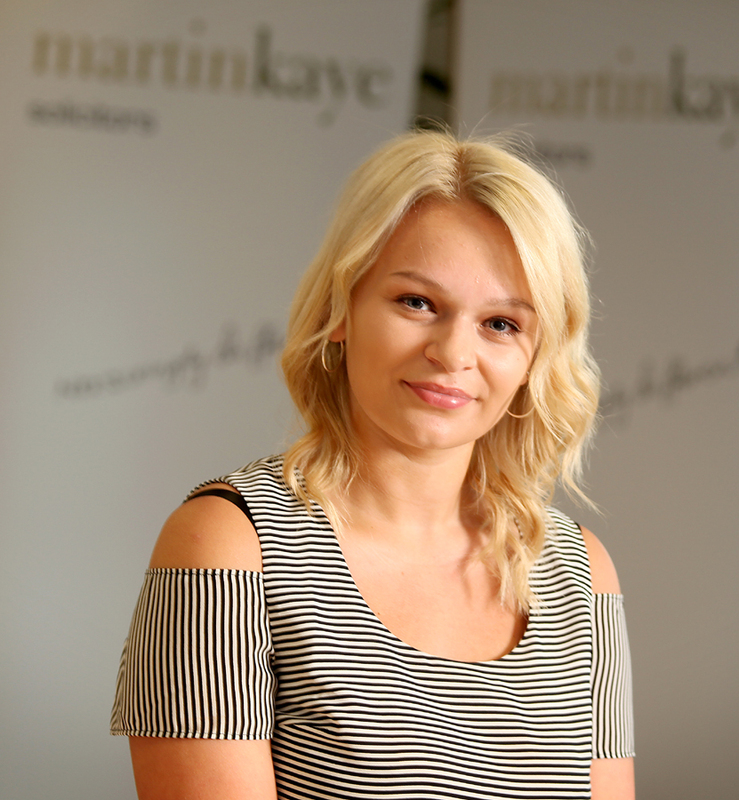 “Martin-Kaye is a well-established and well-respected law firm, and after working with the team on the other side of many property transactions in the past, I was keen to join them when an opportunity came up,” said Emma. “My new role will include dealing with sales, purchases and re-mortgaging of residential properties, and in particular dealing with leasehold and new build transactions. Emma graduated from Staffordshire University and qualified as a solicitor in 2015 after completing a training contract at another local Shropshire law firm. Nita Patel who leads the property team said Emma’s experience made her an invaluable addition to the department. “We’re always keen to work with ambitious and committed lawyers, and Emma fits that criteria very well. 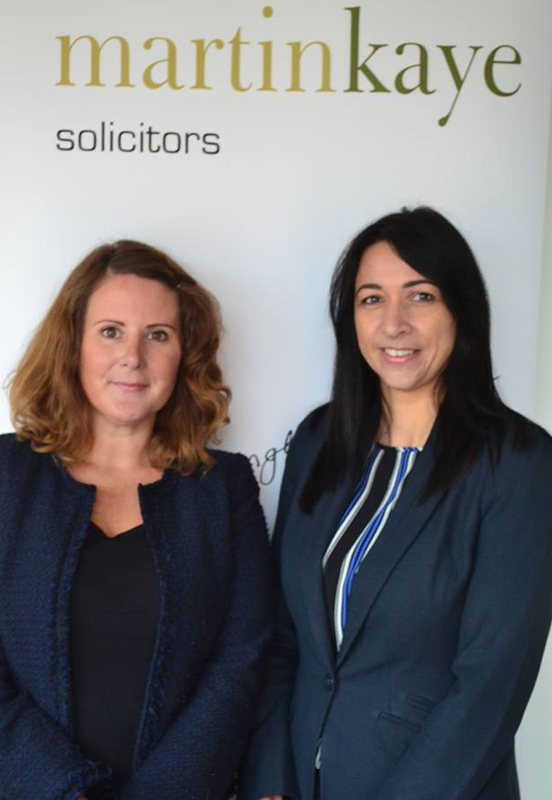 Lawyers at a Telford legal firm have welcomed a new face to their growing family law team. Jane Tinsley has joined the family department at Martin-Kaye Solicitors, in Euston Way, after a parental career break. She had previously worked for many years at a large law firm in Shropshire and the wider Midlands, and she is delighted to be returning to the legal world. 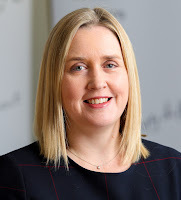 “I specialise exclusively in family law, and have extensive experience in all areas of the sector including divorce, separation, resolution of finances, disputes concerning children, and cohabitation disputes and agreements. “This is a great opportunity for me to join a forward-thinking and progressive law firm that has a good reputation for the high-quality advice it delivers, and I’m looking forward to working with such a close-knit team and helping clients to resolve the issues they are facing. 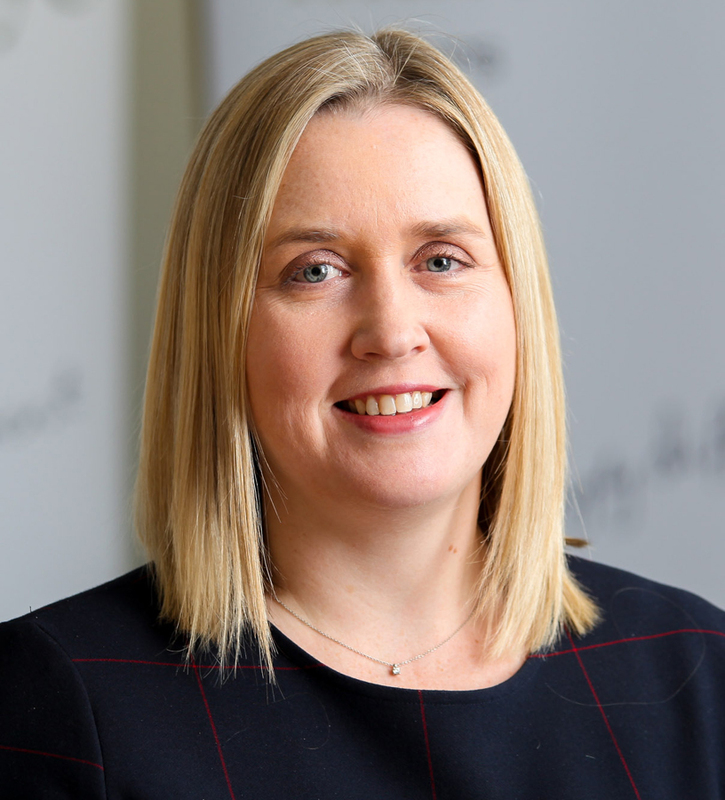 Jane qualified as a legal executive in 1998 and as a solicitor in 2003, and her appointment makes her the latest addition to a family law team that’s constantly growing. 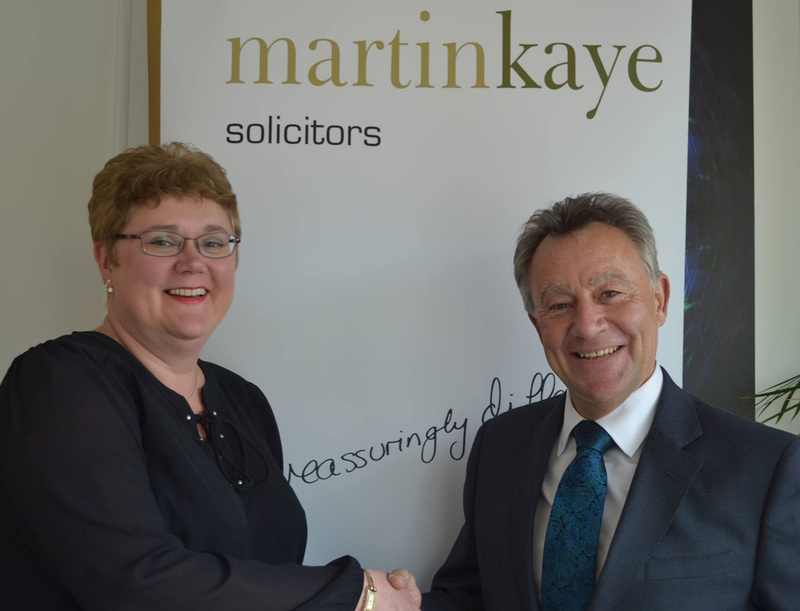 Gemma Himsworth, who is Martin-Kaye’s head of family law, said she was very pleased to welcome Jane to the firm, as her wide-ranging experience would be a real asset. Martin-Kaye’s family law team are members of Resolution – a national organisation of family lawyers who are committed to non-confrontational divorce, separation, and other family problems. “Our aim is to avoid court disputes wherever possible, particularly where children are involved, and we encourage a conciliatory approach so everyone can move forward with their lives,” said Mrs Himsworth. 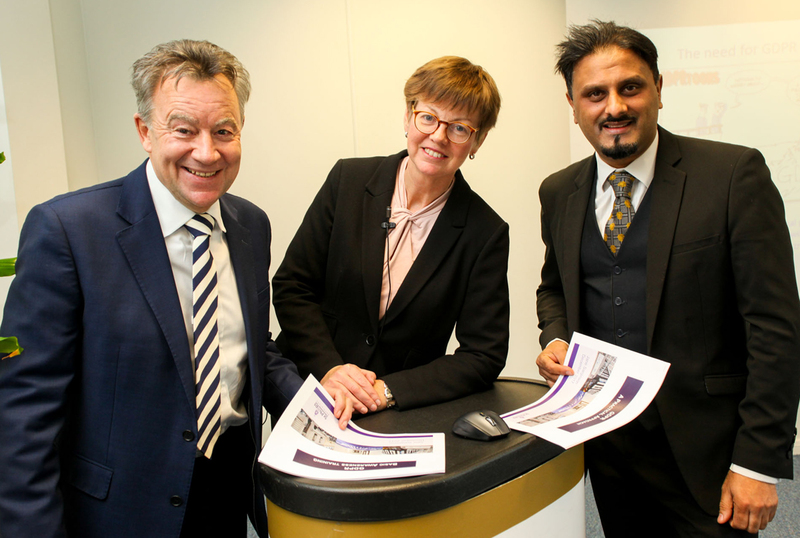 Businesses in Staffordshire will get the chance to take part in an interactive employment advice seminar thanks to a leading Midlands law firm. Experts from the Employment Law team from Martin-Kaye Solicitors, in Telford and Wolverhampton, are bringing their renowned Top Ten Employment Blunders seminar to The Moat House, at Acton Trussell, near Stafford. The event will take place on Thursday, November 30th, at 12pm, and it’s the first time the team have hosted an event in the area. Employment Law Specialist, John Mehtam, who will lead the presentation, said the idea of an event in this location was a direct result of customer demand. “Our presentations have always proved extremely successful in Shropshire, Wales, and the West Midlands, and we’ve received an increasing number of requests from businesses in and around Stafford to bring our seminar to the area." 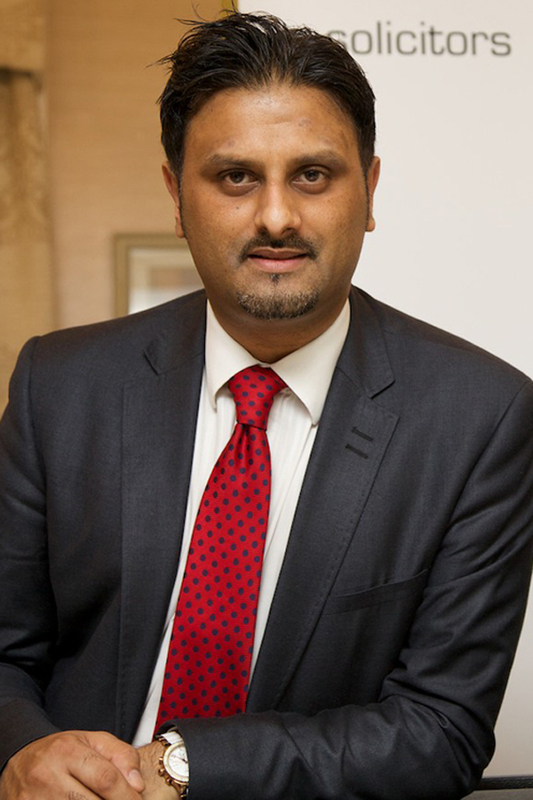 During the event, Mr Mehtam will share his advice to help businesses navigate through the increasingly-complicated minefield of employment law, and to help them avoid the most common pitfalls. “We will include suggestions on how to tackle some of the most common workplace and HR issues including sickness absence, dismissals and poor employee performance – and perhaps more importantly, we will look at how to avoid these situations and protect your business. A Telford law firm has welcomed a new solicitor with over 14 years’ experience who specialises in commercial litigation. Sara Brumwell is the latest new face to join the team at Martin-Kaye Solicitors, in Euston Way, and she has extensive experience in handling probate disputes, property and consumer claims, and professional negligence cases against solicitors, surveyors and other professionals. Mrs Brumwell has previously worked in a High Street practice in Staffordshire before moving to Telford, and she is committed to delivering client-focussed, approachable, and realistic practical advice. She has also completed the University of Law’s Association of Contentious Trust and Probate Specialists (ACTAPS) course, and is now an Associate member of the organisation. Head of Commercial Litigation Andrew Oranjuik said Sara’s appointment was good news for Martin-Kaye and for the firm’s clients, as her experience was extremely varied. “Sara has already made an excellent start to her career with us, and she has fitted in seamlessly with our forward-thinking and ever-growing team. Martin-Kaye Solicitors belongs to the Professional Negligence Lawyers Association and their team is experienced in handling claims against a wide range of professionals including: accountants, solicitors, financial advisers, valuers, barristers, architects, veterinary surgeons, and surveyors. An employment law specialist from a Midlands firm has been named as a winner in this year’s Black Country Asian Business Association awards. John Mehtam leads the employment team at Martin-Kaye Solicitors in Wolverhampton and Telford, and he has won the coveted Business Professional of the Year title. “I am absolutely delighted to receive this award and it’s a great honour to be recognised in such a high-profile way,” said Mr Mehtam. 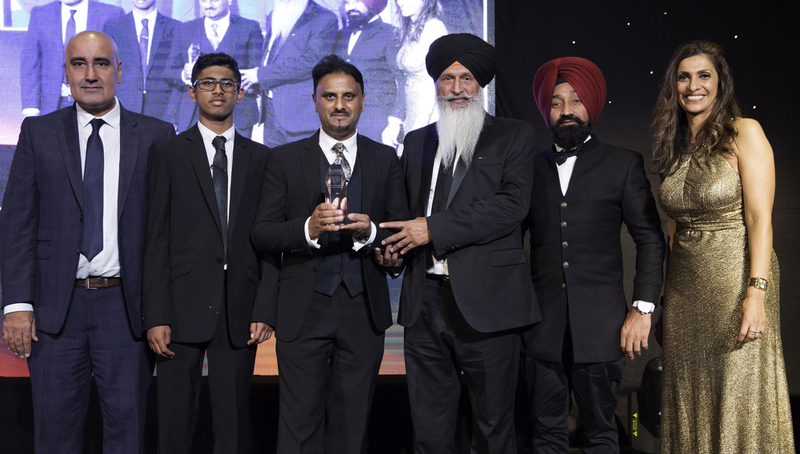 Mr Mehtam received his award at the BCABA Network annual dinner at Wolverhampton Racecourse, and the event raised over £3000 for the Midlands Air Ambulance charity. Hosted by ITV Central’s Sameena Ali-Khan, the evening heard from key representatives from the network who emphasised the importance of collaborating with stakeholders to achieve business success. Martin-Kaye’s Rakesh Saini also gave a brief overview of BCABA’s roots and future plans, and he also shared a poignant message for younger professionals on the endless benefits of being the very best in their chosen industries. Other award winners on the night included: Angela Bir of the Ramada Park Hall Hotel who won both the Business of the Year and Businesswoman of the Year categories; Amerjit Singh from Nationwide Electrical and Security Wholesalers, who took the Retailer of the Year award; and Manjinder Sangha from Kapture8 which was named as Learning Business of the Year. 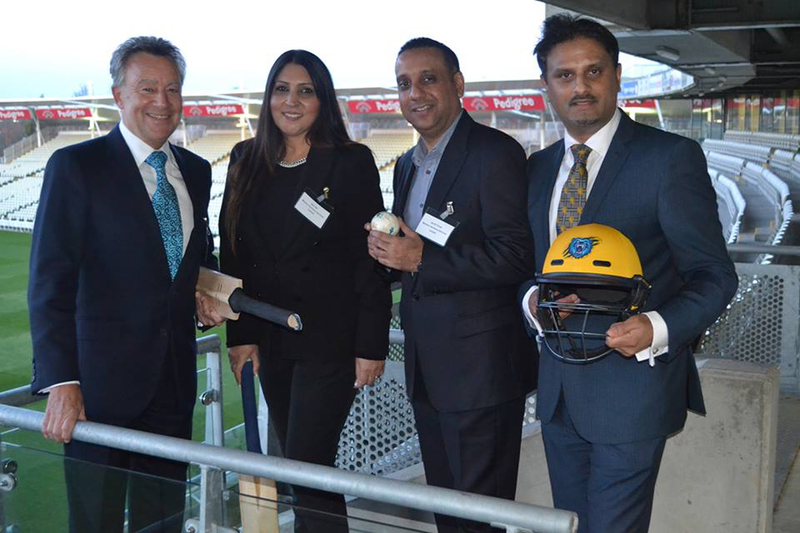 The Black Country Asian Business Association was established in 2001 and its aim is to provide a strong voice for lobbying and a platform for Asian businesses. The network is going from strength to strength with over 2750 businesses benefiting from the variety of services it provides, and it’s a diverse group which supports a socially aware, responsible, cohesive and healthy sustainable community in the West Midlands. Two long-serving employees at a Telford law firm have been named as Associates as a reward for their commitment and dedication. Alison Thornton and Emma Palmer have been with Martin-Kaye Solicitors in Euston Way for many years, and both have worked hard during that time to build and develop the departments they work in. Martin-Kaye Partner and Head of HR Alison Carter said: “Over the years both Alison and Emma have provided a stable and calm presence within their departments, and this has been combined with consistent quality work recognised time and time again by clients in excellent feedback questionnaires. 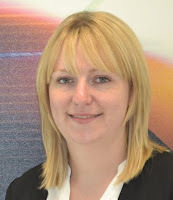 Emma is the firm’s Employment Team Manager, and she has played a key role in developing, setting up and running Martin-Kaye’s HR support scheme, Alpha. She has since overseen the successful development of the service which attracts a wide range of employers from across the UK, as well as providing employment law and HR advice to Alpha client. Emma is also an associate member of the Chartered Institute of Legal Executives. Alison worked for a number of large regional and national firms before joining Martin-Kaye’s personal injury team as a solicitor in 2003. She has successfully handled many different types of claims including fast track and multi-track cases including road traffic, industrial injury and public liability. 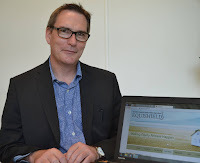 Alison has also been involved in the development of the firm’s inheritance disputes team answering enquiries through Martin-Kaye’s contest-a-will website. A law firm’s Family Team has a new face at the helm – but she’s already well-known in the local area. Gemma Himsworth has stepped up to lead the team at Martin-Kaye Solicitors in Euston Way, Telford, having worked in the sector for over 12 years, with the past three years spent working for the local firm. “I’m absolutely delighted to take up this promotion and I’m so proud to have been given the opportunity to lead such a dynamic and effective department,” said Mrs Himsworth. Mrs Himsworth specialises in divorce and financial issues surrounding separation, particularly those involving businesses or pensions. She also deals with complex matters involving children, including issues of residence and contact, as well as disputes about parentage. “As a team, we are always striving to achieve the very best possible outcome for our clients and we give sensible, grounded advice that is both practical and pragmatic. We’re also leading the way when it comes to fees too as we offer comprehensive fixed fee packages for a lot of the work we do, and we were one of the first local firms to introduce such a policy. 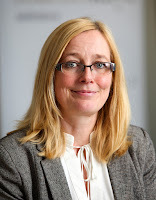 Mrs Himsworth said the team had wide-ranging experience of dealing with clients from all backgrounds, and they also work closely with the firm’s other departments – such as corporate commercial – if clients have business interests that need to be protected during divorce or separation proceedings. A Telford law firm has appointed a new conveyancing solicitor to its residential property department. 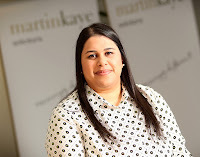 Sharanjit Dhoot is the latest new face to join Martin-Kaye Solicitors, in Euston Way, and she is already enjoying being part of the forward-thinking and close-knit team. “I joined Martin-Kaye to have the opportunity to take a more hands-on approach and to work in a supportive and welcoming environment where I will have the chance to develop my skills even further,” she said. Before joining Martin-Kaye, Sharanjit worked in a firm dealing purely with residential conveyancing where she built up her knowledge of the sector, and progressed to handling increasingly complex cases. 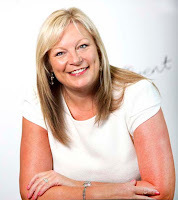 She has also worked for a High Street firm in Birmingham, and a legal firm in Cardiff where she gained experience in dealing with a wider range of residential conveyancing deals. Martin-Kaye’s residential property division is also accredited under the Conveyancing Quality Scheme, the quality mark for legal experts in buying or selling property. Minority shareholders should not be bullied by fellow directors when it comes to board room disputes, a Telford solicitor has warned. 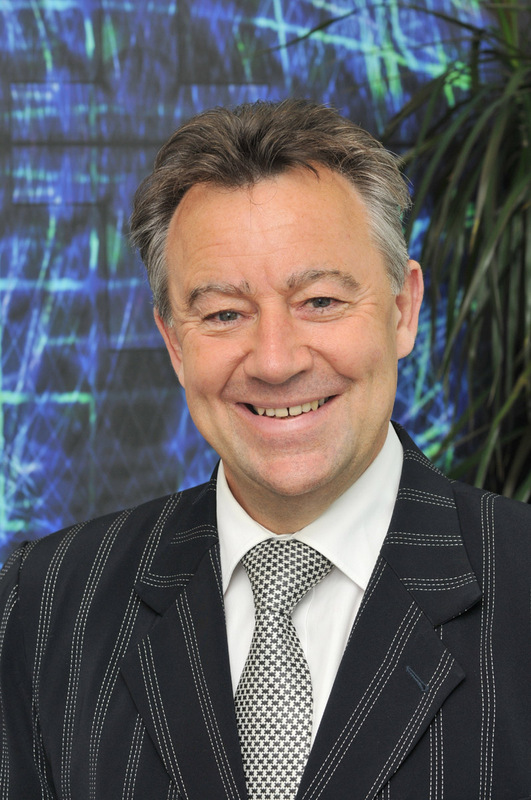 Graham Davies, from Martin-Kaye Solicitors in Euston Way, said directors’ disputes could be extremely stressful, but minority shareholders had every right to be protected just as much as other directors. But Mr Davies said if the majority of the board’s actions were seen by the courts to be unreasonable, the minority shareholder may be able to claim “unfair prejudice”. Mr Davies said to protect their position, it was important for majority shareholders to show they had not acted unfairly and that they had not prejudiced the minority stake owner’s position. “Keep strict and thorough records of any serious director-shareholder disputes, and don’t act hastily, no matter how you may really feel about the awkwardness of your position. Try to work with all your fellow directors – despite how difficult the situation may be – to either resolve the problem or find a way for the minority shareholder to leave on the best possible terms. Mr Davies said disputes involving minority shareholders often occurred as a direct result of a family fall-out, and even if there was a clear shareholders’ agreement in place, problems could still arise. Victims of sexual harassment in the workplace could take action against their employer if they fail to protect them during working hours. The warning comes from Gemma Workman, an employment lawyer at Martin-Kaye Solicitors in Telford, who was speaking out after the latest unwanted crisis at technology firm Uber. “Uber has faced a lot of negative publicity over cases of the status of their workers in the gig economy, and now there have been various allegations of sexual harassment too. “A former engineer wrote a blog that described a culture of sexism and sexual harassment within the company, including the HR department failing to take her seriously and being propositioned by her manager. “And with the blog being read widely and publicised online thousands of times, it’s a perfect example of what a huge impact such allegations can have on the financial status and the reputation of a company. “This situation is a stark reminder to employers that they need to have effective and clear steps in place to prevent harassment in the workplace from the very start. As well as robust policies in place, you should provide adequate training to relevant employees so that they are well prepared if they need to deal with a complaint like this. 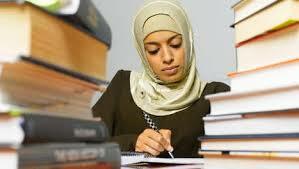 Miss Workman said in the UK, protection against sexual harassment at work was covered by the Equality Act 2010. It defines sexual harassment as ‘unwanted conduct of a sexual nature which has the purpose or effect of violating someone’s dignity, or creating an intimidating, hostile, degrading, humiliating or offensive environment for them’. “As an employer, you have a responsibility to create a safe work environment for your employees, and if you fail to take that responsibility seriously, potential victims could bring a claim against you too. Solicitors at a Telford law firm have said a proposed review of will-making laws is good news and is long overdue. 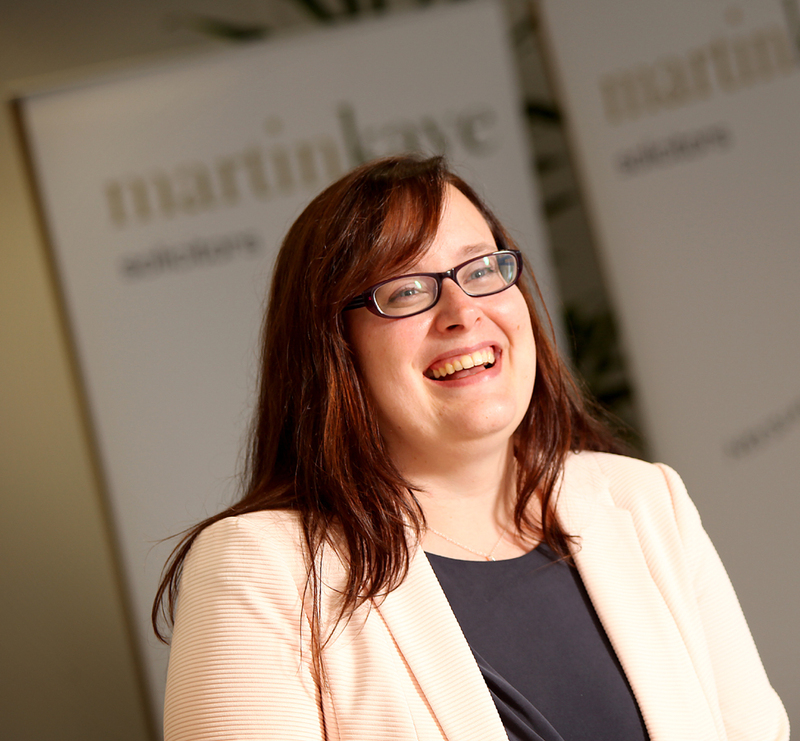 Fiona Mainwaring is the wills specialist at Martin-Kaye Solicitors, in Euston Way, and she has welcomed a public consultation by the Law Commission as a positive step towards keeping the rules relevant and effective. The consultation paper will ask the public about a range of issues around how wills are made and how the law protects will-makers from possible fraud. “This review is excellent news and it’s a great step forward for the sector as the rules have not been updated for many years,” said Mrs Mainwaring. The Law Society says although the basics of how people make wills have essentially stood the test of time, other aspects needed to be urgently updated to reflect modern life. They said the consultation was a chance for solicitors to help shape a new, fit-for-purpose wills law. But Mrs Mainwaring said there were some careful considerations to be made about the way wills may be put together in the future. “The question of making wills electronically is a brave but inevitable step, but of course the review will need to consider closely how safe electronic wills would be from fraud or unfair influence against vulnerable people. Over 40 delegates joined lawyers from a Telford firm to learn about how to avoid the common pitfalls in the world of employment law. The team from Martin-Kaye Solicitors held their latest Top Ten Employment Blunders seminar at their offices in Euston Way, and the event has been hailed as a great success. 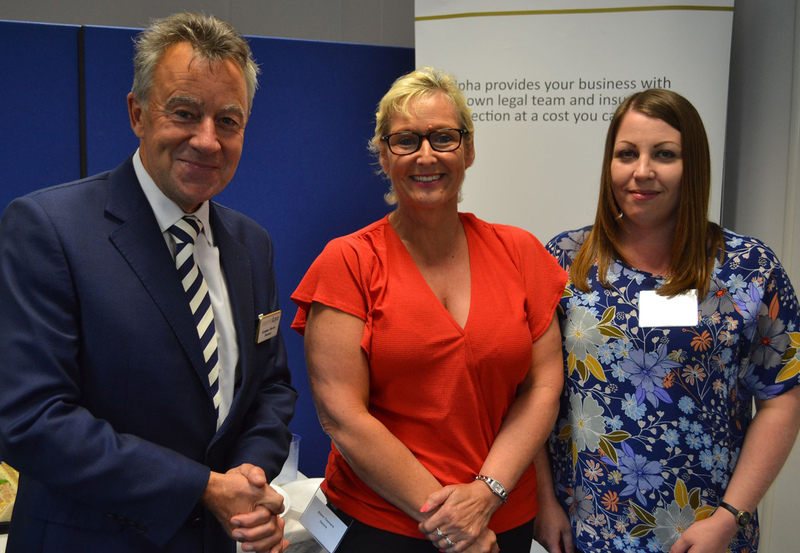 Employment Law Specialist, John Mehtam, who led the event, said the latest seminar had been organised specifically to support HR Managers and Managing Directors from the local Telford area. “Our aim – as always with this kind of seminar – was to give our delegates an insight into the ever-changing UK employment legislation and share our experience of the most common pitfalls. “We then share our advice to help businesses navigate through the increasingly-complicated minefield of law, to help them learn from other people’s mistakes, and so avoid drawn-out negotiations and expensive errors. Mr Mehtam said similar presentations had also proved extremely successful across the wider Shropshire area, Wales, and the West Midlands, and more events were planned for the coming months. “We were very pleased to see so many new faces at our latest seminar, and it was an excellent opportunity for delegates to meet solicitors from our other departments including commercial litigation, commercial property and corporate law too. Legal experts at a Telford firm are celebrating 10 successful years of an initiative that’s reaching clients right across the UK. The team at Martin-Kaye Solicitors, in Euston Way, initially launched their ALPHA service – a bespoke employment law and human resources package – after months of intensive research and surveys involving all kinds of businesses. Senior partner, Graham Davies, said: “We wanted to measure how satisfied local firms were with their HR advisors, as companies were telling us they were becoming increasingly frustrated with the services they were receiving. “And our survey work showed the support was patchy at best, with the so-called advice delivered over the phone by ‘consultants’. They also felt the advice was tailored to meet insurance company requirements and wasn’t robust enough – they found they were tied into restrictive deals for three to five years too. Mr Davies said the firm had been continually surprised by the ongoing success of the service which was still growing today. 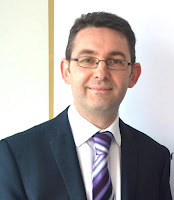 The ALPHA service is led by John Mehtam, who is Martin-Kaye’s employment law specialist, and he is supported by a team of qualified lawyers who deliver the most appropriate advice in each situation. “Not only do we provide employment law advice, we provide employment law solutions, and we’re not afraid to make tough and difficult decisions when required,” said Mr Mehtam. 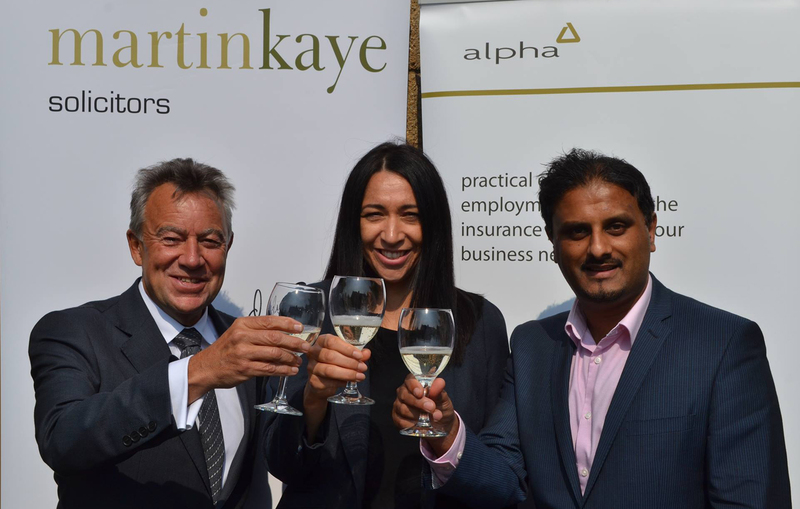 Mr Mehtam said ALPHA members also had the option to take up advice from the wider range of commercial services provided by Martin-Kaye including corporate advice, litigation, and commercial property services. Homeowners looking to boost their finances in readiness for their retirement can now find professional and effective advice right here in Shropshire. Experts at Martin-Kaye Solicitors, in Telford, have launched their own nationwide service – www.equishield.co.uk – to offer advice on equity release to help property owners raise much-needed capital. Simon Wagner is a Partner at Martin-Kaye and has been instrumental in creating and setting up the new service. “Many ‘baby boomers’ who are now approaching retirement are finding their pension plans are not what they had hoped for. But they are at the time in their lives where they will also probably have a significant amount of equity in their home which can be released to provide additional cash and income. “Equity release has deservedly had some bad press in the past, but the introduction of a code of conduct – combined with more competitive interest rates and innovative mortgage products – has made it a far more attractive, mainstream product which is growing increasingly popular. Mr Wagner said: “Retirement should be something to look forward to, but more and more people are retiring with debts they are struggling to repay, or a pension that won’t allow them to maintain their living standards. “If all other options have been exhausted, equity release can help homeowners to reduce their monthly outgoings by taking out a loan against their property – they then have the option to repay the interest or allow it to roll up and only be repaid when the house is sold. Mr Wagner said equity release was a specialised area and anyone considering taking this option should seek professional financial advice and independent legal support. “Through Equishield, we have specialists here at Martin-Kaye who deal purely with equity release cases, so our clients can be assured they will always be seen by an in-house expert and their claim will not be passed on to an agency or sub-contracted out. Divorcing parents are being urged to put their children first to help them adapt to a new-look family structure. 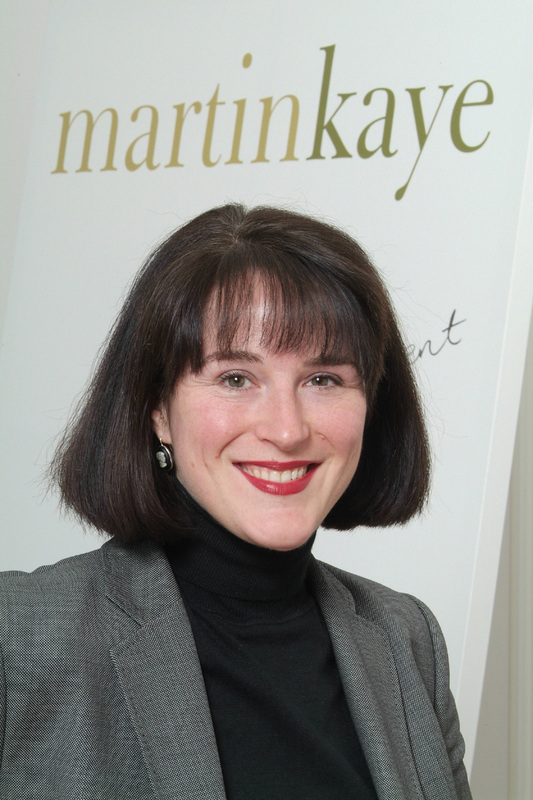 Nadia Davis is the family law partner at Martin-Kaye Solicitors, in Euston Way, Telford, and she is a qualified collaborative lawyer – a legal expert taking a different approach to divorce. Ms Davis said the collaborative divorce process encouraged couples and their solicitors to sign an agreement so show they were committed to finding the best solutions through negotiation, rather than through court proceedings. The agreement prevents the lawyers involved from representing their client in court if the collaborative process breaks down, so everyone is absolutely committed to making it work. “In a divorce that’s full of conflict, children become increasingly anxious, and the stress can actually lead to depression or troubled behaviour. And taking each other to court can make the process worse, rather than reducing the conflict. Ms Davis said the collaborative approach gave families the chance to instigate a kinder, gentler and healthier divorce which would be less complicated for everyone involved. “And because the collaborative process is not driven by a timetable imposed by a court, the whole situation can be built around each family’s individual timetable and priorities. Sometimes only a handful of meeting may be required to resolve the case, so it’s often a much quicker route to take. 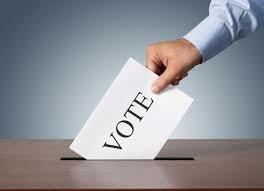 Employees don’t have an automatic right to take time out of their working day to vote in the General Election. That’s the warning from George Heron at Martin-Kaye Solicitors, in Telford, who said employees should ensure they make the most of the extended opening hours at local polling stations – from 7am to 10pm. “With such long opening hours, it’s highly unlikely that staff will be unable to attend at some point during the day – so there really is no need for them to be disrupting their working hours. Mr Heron said if an employee really was struggling to get to the polls, there was nothing to stop an employer coming to an agreement with their staff. “You may decide to allow them to start their working day slightly later, or they could simply take unpaid time off while they cast their vote. As long as you are consistent, there should be no issues – but you must not allow one employee to take time off to vote and then block another. Mr Heron said though that where trade union elections were concerned, shop stewards and staff representatives had a right to reasonable time off for union duties and activities, but any such time off could be unpaid. “It’s vital that employers are consistent with how they treat their staff on Election Day, but employees also have to take personal responsibility to ensure they find the time to exercise their democratic right. “Businesses need to know they can continue to operate normally on the day, without worrying about their operation being short-staffed at crucial times. Employees need to be comfortable in the workplace but how far must their employers go to accommodate their needs? 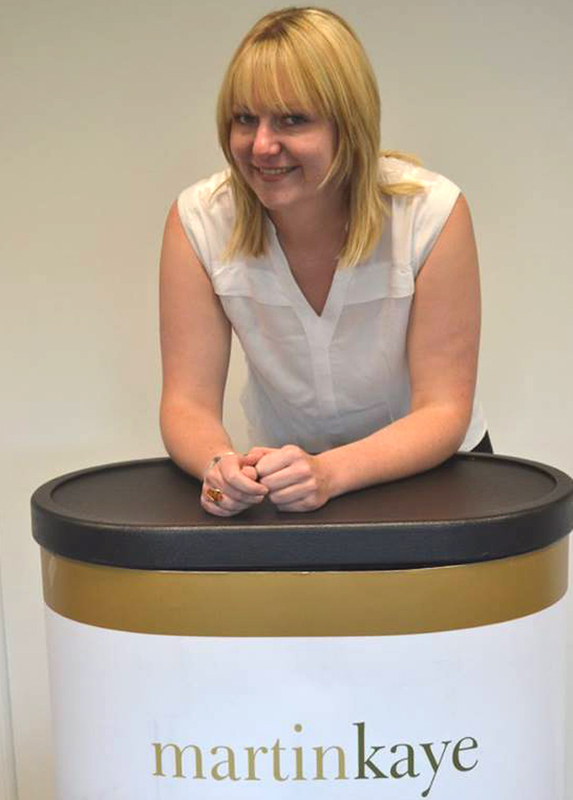 Gemma Workman from Martin-Kaye Solicitors, in Euston Way, Telford, said employers should tread carefully when it comes to decisions about office furniture. “Modern office chairs can be adjusted to accommodate a wide range of shapes and sizes, and they also come in different dimensions for both extra tall and smaller staff. “But what if an employee would prefer to bring in their own seating because they found it more comfortable? In particular, how should an employer react if the choice isn’t a traditional chair? “If your staff work with a computer, their seating will be subject to health and safety regulations which set out certain requirements that standard chairs must have, including a height-adjustable seat and a backrest that can be adjusted for both height and tilt. “Chairs must also be physically stable and allow for freedom of movement, but national guidance also says employers should consider the possibility of staff using unconventional chairs too. “It says that employees suffering from back problems may benefit from a chair that comes with a fixed backrest or a seat that has no backrest at all, such as a kneeling chair. But whatever they choose, it must still be stable on the floor. Miss Workman said before agreeing to anything, employers should find out exactly why their staff may want to bring in their own seating. “Is their current chair uncomfortable because it’s broken or because they are not a standard size? If so, then this is easily put right by ordering them a new chair. Or maybe the employee uses non-conventional seating at home and finds it more to their liking? Miss Workman said there may be some merit in the request if the employee has a pre-existing medical condition, or if they’re recovering from a back or hip injury. Employers have been warned that their business could be at risk if they disclose confidential information – even if they think it’s “off the record”. 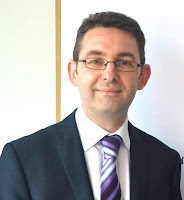 John Mehtam is the employment law specialist at Martin-Kaye Solicitors, in Telford, and he said businesses must be aware that the actual phrase ‘off the record’ had no legal status whatsoever. Mr Mehtam said confidential information often included personal data that related to directors, owners, current and former employees, customers and clients. Mr Mehtam said it wasn’t just employers who could find themselves in trouble, and all employees should be told that the phrase is meaningless and that they should never reveal anything to a third party. And it’s not just random requests for personal information that can get an employer into trouble. “If you’re approached for a verbal reference about a former employee, don’t say ‘yes if it’s off the record’ because it won’t be, and the employee is entitled to know what you said about them. “A recent ruling by the Supreme Court has also confirmed that disclosing confidential information in off the record comments does not get around confidentiality obligations. They said off the record discussions gave the person making the disclosure – and the person asking for the private information – no legal protection at all. A Telford lawyer with almost 20 years’ experience has now been named as an Associate at a leading local law firm. Michelle Poulton began her career as a legal assistant in the conveyancing team with Martin-Kaye Solicitors, and she is now a qualified Licensed Conveyancer at the firm’s head office in Euston Way, in Telford. as a direct result of her dedication and commitment. Michelle manages a small team of legal assistants and is responsible for both panel-based business and local estate agent referrals. She also deals with a variety of property cases including remortgaging, transfer of equity, right to buy, equity release, and sale and purchase work. Martin-Kaye’s experienced and knowledgeable property team is accredited under the Conveyancing Quality Scheme – the quality mark for legal experts in buying or selling property. Selling your business could be difficult if minority shareholders decide to block the deal – but a Telford solicitor says there are steps you can take to ease the situation. 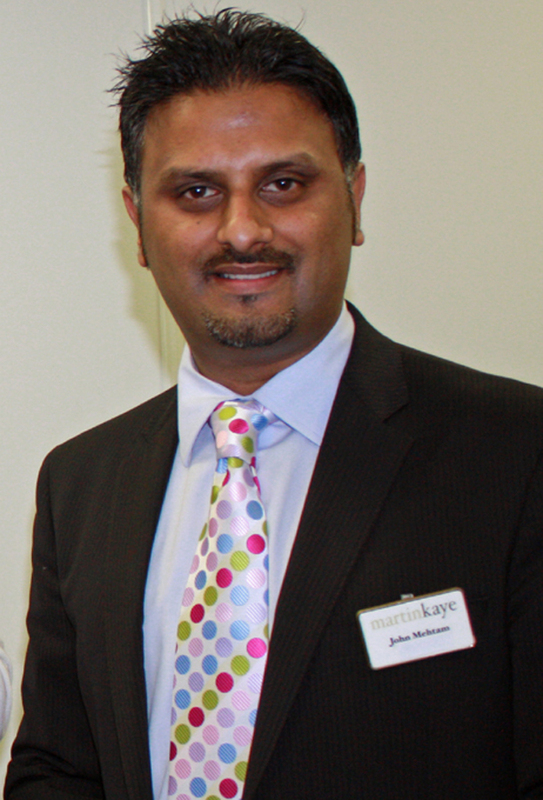 Andrew Oranjuik is a Partner at Martin-Kaye Solicitors in Telford, and he specialises in commercial litigation. He said: “Sometimes an offer that’s too tempting to ignore comes in and selling your business seems like a great way forward. But if you don’t own all your company’s shares, you may need the approval of your shareholders to accept the deal. Mr Oranjuik said one solution would be for the company to sell its trade and other assets, rather than for the shareholders to sell their shares. Mr Oranjuik said if the buyer was purely interested in buying the entire company, then selling shares was the only option. “The best way to achieve this is to introduce a ‘drag along’ clause in your company’s shareholders’ agreement – this means if the majority of shareholders are keen to sell the business, then the others are required to agree. Mr Oranjuik said an agreement which included a drag clause would also have a tag along clause too. “This gives minority shareholders the right to force majority shareholders to include them as part of any deal to sell their shares, ensuring their shares are not devalued as a result of a sale that goes ahead without them. Employers must ensure staff are given the opportunity to take regular rest breaks throughout the working day – even if workers choose not to use them. John Mehtam leads the employment law team at Martin-Kaye Solicitors, in Telford, and he said the onus was firmly on employers to make sure staff had chance for a break. Mr Mehtam said a tribunal hearing had ruled that employers should provide their staff with a statutory rest break, regardless of whether or not the employee requested one. If the working day exceeds 12 hours, the statutory requirement is still only for one 20-minute rest break. “There are though additional health and safety considerations that will need to be taken into account for longer shifts like this, and you’ll need to look at each employee’s circumstances when deciding what rest breaks may be appropriate. Mr Mehtam said information on working conditions was a key part of the support offered by Martin-Kaye’s Alpha team, which has wide-ranging experience in providing practical and effective advice on human resources and employment law issues. Lawyers from a Midlands firm are set to take their highly-rated employment advice seminar to Birmingham for the very first time. The Employment Law team from Martin-Kaye Solicitors, in Telford and Wolverhampton, has joined forces with Monaco Insurance to host a Top Ten Employment Blunders seminar at Edgbaston Cricket Ground. Taking place on Thursday March 16th, from 6pm to 8pm, the event is designed to help businesses navigate through the increasingly-complicated minefield of employment law, and to help them avoid the most common pitfalls. Employment Law Specialist, John Mehtam, will lead the presentation, and said the decision to take the seminar to Birmingham was as a direct result of customer demand. 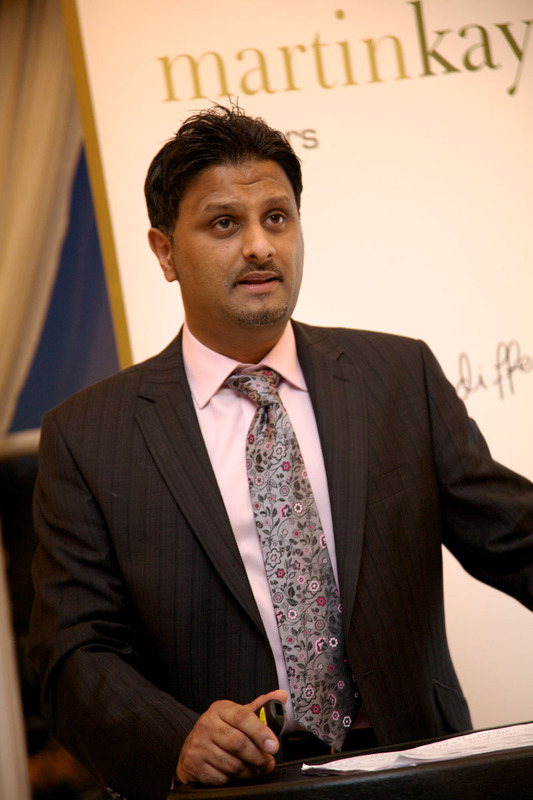 Mr Mehtam will share his advice for employers about how to tackle some of the most common workplace and HR issues and, more importantly, how to avoid them and protect your business. He said keeping up-to-date with ever-changing legislation was practically impossible for employers who were already battling with a packed schedule. The seminar will cover a variety of tricky areas including sickness absence, dismissals and poor employee performance. Employers who enforce sexist dress codes could face tougher punishment according to a local solicitor. John Mehtam, of Martin-Kaye Solicitors in Telford, said the Government was reviewing a report put together by the Women and Equalities Commission and the Petitions Commission. “It all started with a parliamentary petition set up by receptionist Nicola Thorp which aimed to make it illegal for companies to force employees to wear high heels to work. Mr Mehtam said the Government was now considering the report and if it followed the recommendations set out in the document, employers could face stricter punishment and larger fines. The report includes medical evidence from the College of Podiatry suggesting that women who have to wear high heels for long periods of time could suffer long-term health difficulties. “A web forum was also set up to gather evidence from women who had been forced to adhere to certain dress codes, and many said they had to wear high heels as part of a workplace policy in the retail, hospitality, airline or corporate industries,” said Mr Mehtam. “But with the cost of employment tribunals rising, many women can’t afford to challenge these sexist policies, and so the practice has continued for much longer than it should have. Now that this report has been completed, it’s clear that employers need to act responsibly and take the findings into consideration. “The best approach would be to stay one step ahead of the process and update your corporate dress code policies as soon as possible to reflect your commitment to protecting the health and safety of your employees.